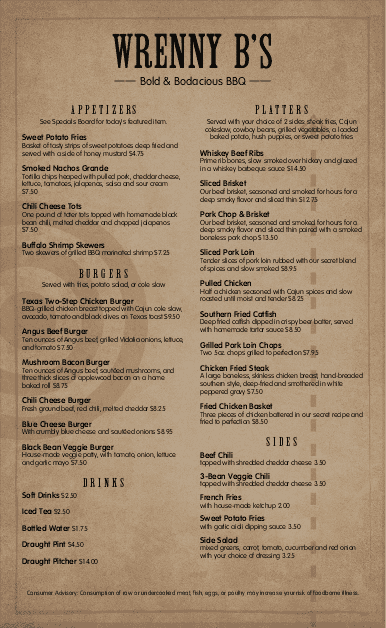 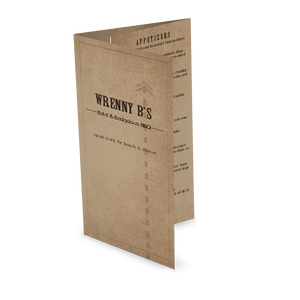 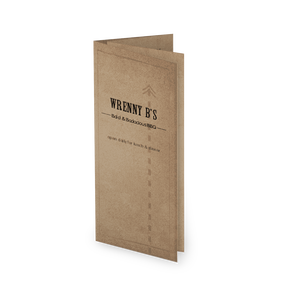 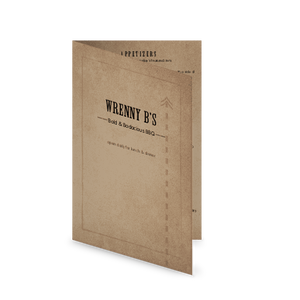 A rough brown paper 8.5 x 11 background shows off this Western-themed backyard barbeque menu. 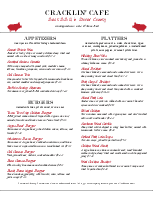 A bullseye rests in the back. 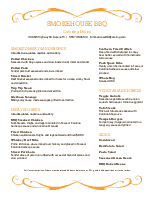 Two columns show off the platters, sandwiches and appetizers for a BBQ restaurant. 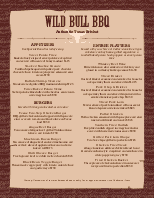 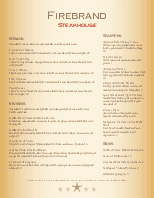 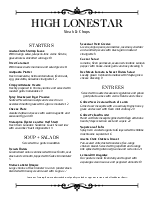 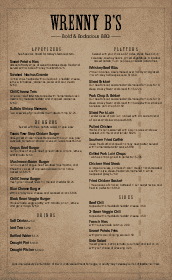 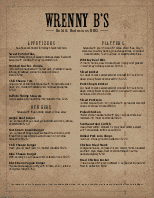 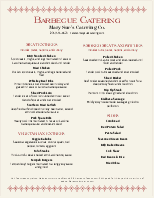 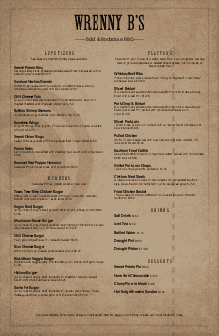 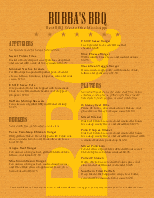 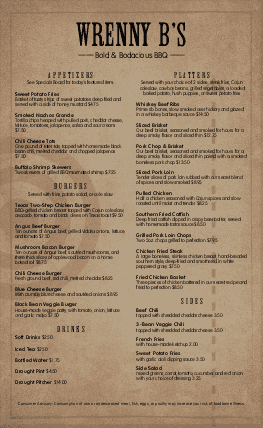 Use this design to create your own barbeque menu.